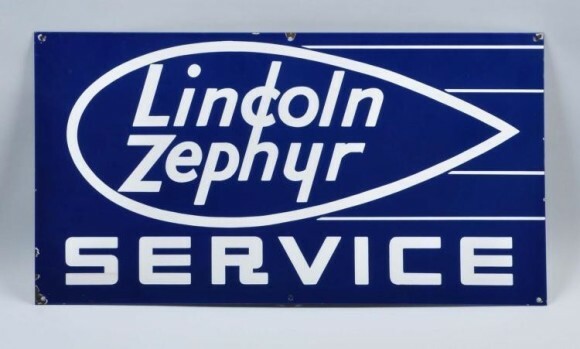 This smaller Lincoln Zephyr Service sign is not often seen. Measuring in at only 16″ by 30″, the sign holds its own. The blue and white colors create a great contrast for easy reading. There is an oval surrounding the text that is pointed to one end. The sign creates a sense of movement with its flowing lines.